Legal document translation is offered by Quick Transcription Service. 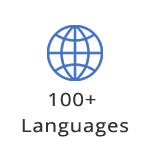 We are the leading service provider in the industry to offer varied types of language services to our clients from around the world. We provide all types of translation of legal documents that fulfills all our clients need. Our wide network of translators from across the world supports us hugely to provide the best services to our clients in an efficient manner. Our translators are well-experienced and skilled in rightly understanding what our clients expect and provide them the services accordingly. We can handle any types of legal documents, legal proceedings and other papers related to the legal content to be translated with quick turnaround time. The expertise of our translators for legal document translation and their knowledge in using the terminologies in right place, further help us to provide the best quality services to our clients. We can translate legal documents without any changes in the meaning of the content as given by our clients. We also accept and deliver the work in any formats as requested by our clients. Our team of legal document translator can work efficiently to provide the most competitive services in the industry. 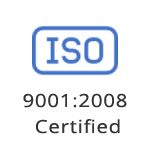 We are the professional translation and certified translation agency striving to provide the most effective legal document translation services in the industry at the best low affordable rates. Our translation rates are easily affordable by all, therefore, be it an individual or a corporate, anyone can afford to use our services in an easier way.